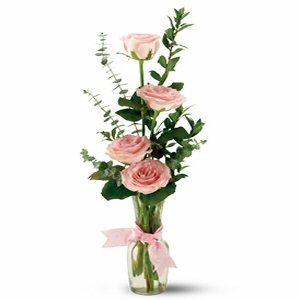 Roses can be arranged with one, two, three or four roses. They come arranged with greenery and baby's breath. 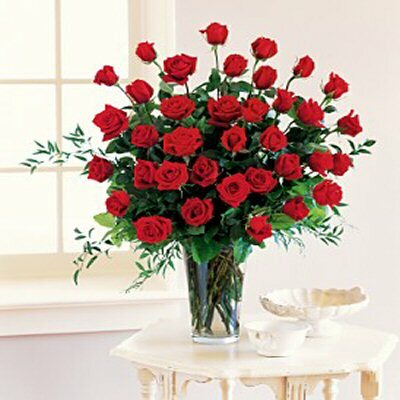 ROSES ~ROSES ~ROSES and more! and with a filler (Baby's Breath or filler that is available). 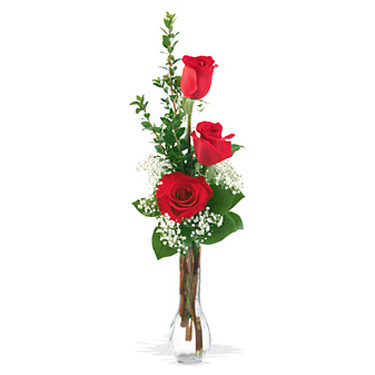 Two dozen Roses Elegantly Designed in a Vase. Includes, greens, baby's breath and bow.